The Red Hot Chili Peppers is the debut studio album by American alternative rock band Red Hot Chili Peppers, released on August 10, 1984 on EMI. The album was produced by Gang of Four guitarist Andy Gill, and is the only album to feature guitarist Jack Sherman. 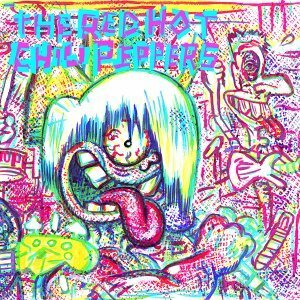 The Red Hot Chili Peppers was released with the Chili Peppers disappointed in the production. It failed to chart on the Billboard 200. The album is generally accepted as being a critical and commercial failure. The few reviews that were published of the album were negative, with the exception of the first issue of Spin magazine which, according to Anthony Kiedis in his autobiography Scar Tissue, gave the album a positive review. Stephen Thomas Erlewine of Allmusic gave the album a negative review, and stated that "their first effort didn't quite gel into a cohesive album. ", giving the album only 2½ stars out of 5. The band lost a substantial amount of money from the album and the supporting tour. As of 2007, it has sold about 300,000 copies worldwide.